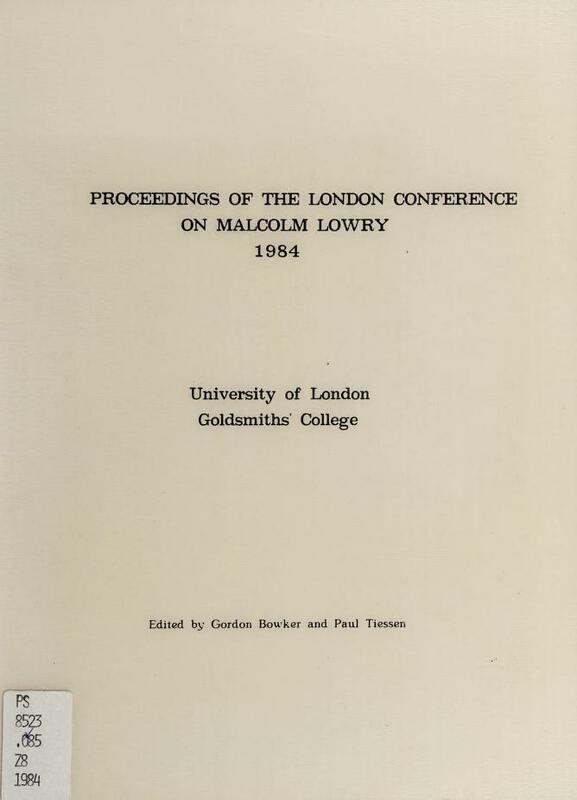 1 edition of Proceedings of the London Conference on Malcolm Lowry, 1984,... found in the catalog. Add another edition? 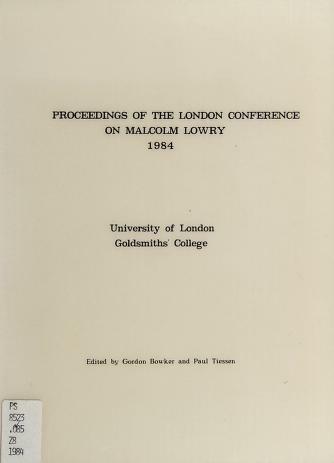 Are you sure you want to remove Proceedings of the London Conference on Malcolm Lowry, 1984, University of London, Goldsmiths' College from your list? 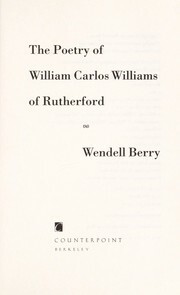 Published 1985 by Goldsmiths' College, University of London and The Malcolm Lowry Review, Wilfrid Laurier University in London .